This weekend (September 15-16) was the Kaisen Festival at the Cosme Beitia Coliseum in Cataño, Puerto Rico. I had the opportunity of going on the Saturday and it was a delight. There is something about Kaisen that you can’t get at the larger, flashier Puerto Rico Comic Con (PRCC). Since it’s held in smaller locations across the island, it is cozier. You can easily find your friends, stalk cosplayers for a picture, and sit in the stands to just people watch. Parents and People Who Get Tired (me) find this sitting thing very convenient. Cosplayers have a place to rest yet not miss out on the onstage magic performances, singing, skits, and the random car-with-the-headlights-on announcements. At the PRCC you’d have to sit out in the halls to get a break from the crowd. Also, Kaisen has free parking and is way more wallet friendly. Of course, there are fewer vendors (I noticed a serious lack of local comic book artists this time- there were maybe three) and no visiting guests but for the price I would say Kaisen does what it does beautifully. Besides the cosplay contests and skits, they have video gaming, card play, a movie marathon and small workshops related to fan life. 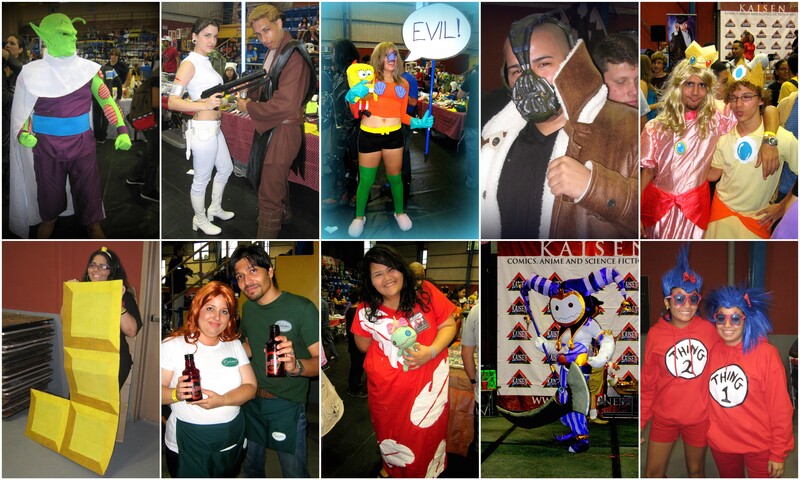 They have built a supportive community online and the organizers have events throughout the year to keep people entertained and excited about the next convention. Even if they don’t have something going on, they will post about fandom events from other organizations. I have posted the pictures above and others as a Facebook album. For more information about Paquines.com (the Kaisen Festival organizers), visit their website here and their Facebook page here.